Your kitchen is the room that hosts conversations, memories, and and intimate moments with those you love. In most cases, the kitchen tile in Thousand Oaks you choose to install can have a direct affect on how you, friends, and family can feel in the space. Whether your children are completing homework at the kitchen island, or your partner is washing dishes after a wonderful barbecue, the tile sets the mood. Similar to families, tiles have seasons. You may have gone with a deep turquoise for the last few years, but you decide it’s time to install new tile that speaks to the summer spirit inside of you. The quickest way to remove grout around tiles is to use a handheld grout scraper. You point the thick blade at the grout between the tiles, gently plunge it into the grout, and begin scraping back and forth. This will gradually remove the grout without penetrating the wall or floor beyond the tile. Once the grout is removed, you will then work to pry the tile off the wall or floor. Be careful when doing this. The tile is securely attached to the floor or wall, and the tile may break in lieu of the adhesive giving way to your pressure. Make sure and wear safety glasses as well as gloves while completing this process. In most cases, the tile will pop right off the wall or floor, which makes it for easy removal using the press and pry method. If the tile is being stubborn, you may need to resort to an alternative tile removal method. In some case, the tile may be so securely fastened to the floor or wall that you will need to remove that piece entirely. 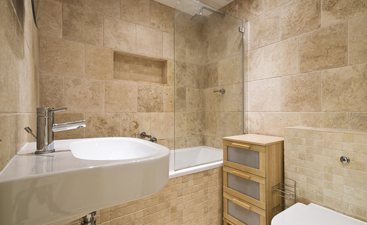 You will then need to replace that piece of the wall or floor before installing new tile. We do not recommend this method unless you are an experienced contractor, since it can cause more problems than solve. It’s always best to remain safe during tile removal. This means you need to wear safety goggles, gloves, and long-sleeves. You want to keep the removed tile neatly stacked and away from children. Finally, remember to keep your work area clean, as to not accidentally scrape or scratch yourself during the removal process. 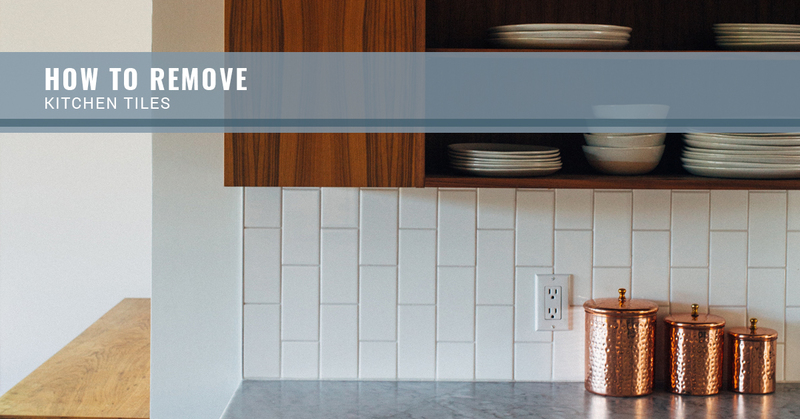 Before you start removing tile from your kitchen, go shopping for new tile first. It’s better to have your tile ready to install then leaving your kitchen in construction mode while you find the perfect tile. 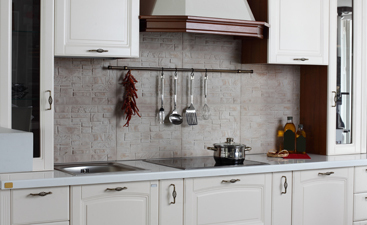 At Transworld Tile, we offer a wide spectrum of kitchen tile choices to fit your style and aesthetic. 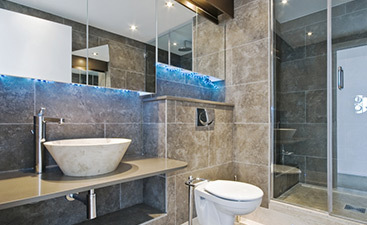 Visit our showroom today or give us a call during business hours.